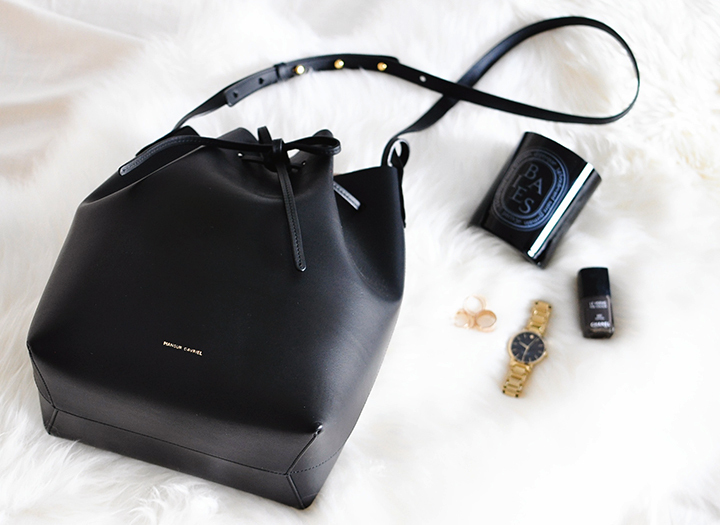 The Mansur Gavriel bucket bag has been on my wish list since last year and i can now finally say it's mine! My girlfriends tried getting this for me on my birthday last year but it was out of stock! It's still out of stock at most stores, but I got lucky enough to snag this one! Mansur Gavriel has a huge collection of color combinations, but the black/ballerina caught my eye. 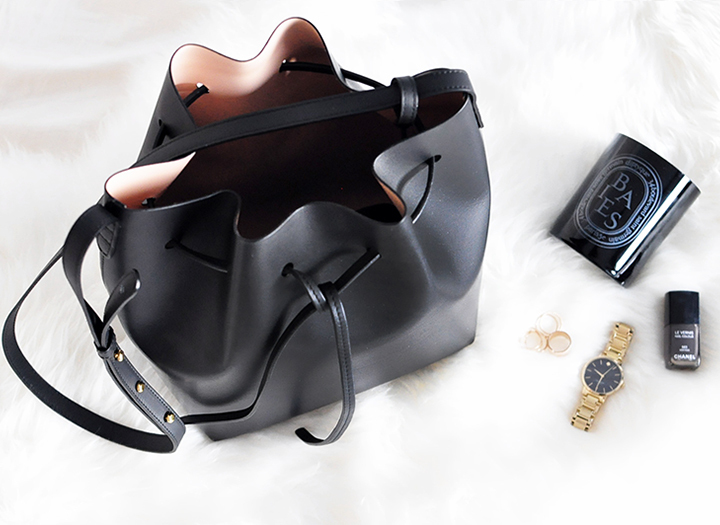 You make me want this bag so much, but it's sold out everywhere! How has the interior held up? i've been careful to not have any makeup, pen/pencil be exposed inside the bag, so it still looks good on the inside. the leather is pretty durable, so even after 2 years it held up nicely. I just got the black/flamma.. How's the wear and tear? i've had it for about 2 years now...but it held up pretty well. it's still in great condition.